Darren Till isn’t backing down from the thought of a rematch with Stephen Thompson. Till and Thompson clashed back in May in the main event of UFC Liverpool. Going into the bout, Till missed weight at 188 pounds. He couldn’t weigh anymore than that on fight night and he was able to get down to 187.3 pounds. After five rounds of action, Till was awarded the unanimous decision and many felt there was some home cooking. In addition to that, Thompson complained about Till repeatedly throwing side kicks to the knee. “Wonderboy” has said he felt the intention to take his knees out was clear. He’s been calling for a ban of side kicks to the knee. 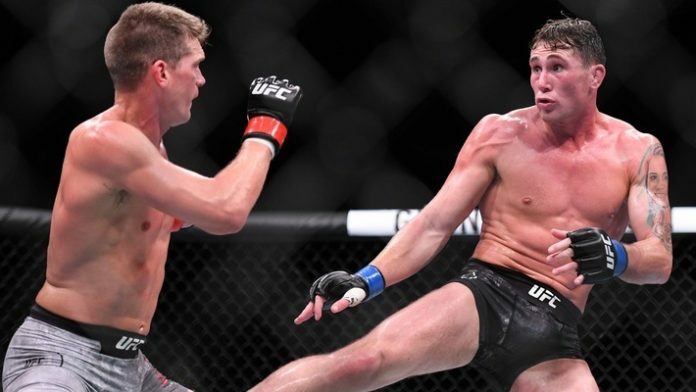 If Darren Till and Stephen Thompson were to meet again, who would you pick to win the rematch?